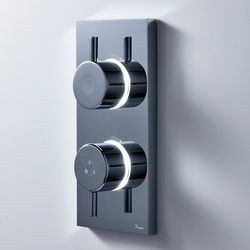 Crosswater Kai Digital Showers > Dual Outlet Digital Shower Valve (HP). 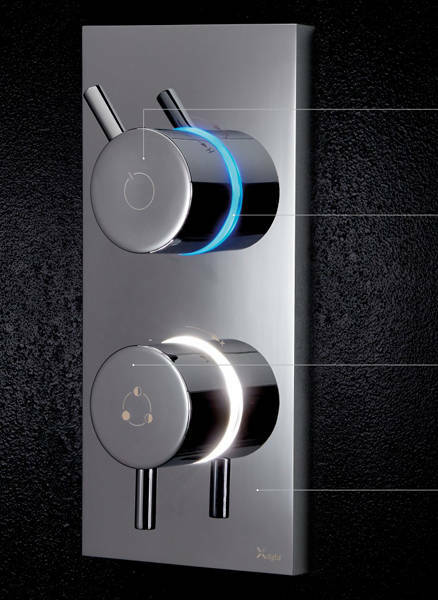 Kai dual outlet digital shower valve with LED lights, chrome back plate and processor unit (for high pressure systems). 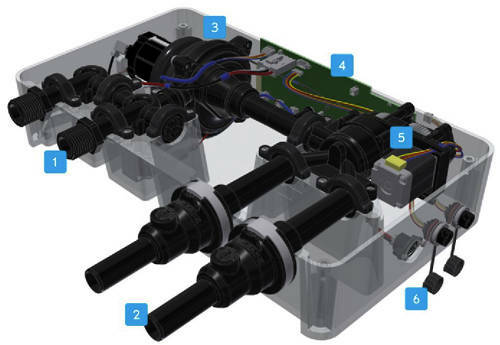 Suitable for use with a single shower head and slide rail kit or body jets.